This hat is fun and surprisingly simple to make. Simple yet unique, it looks great in any color. 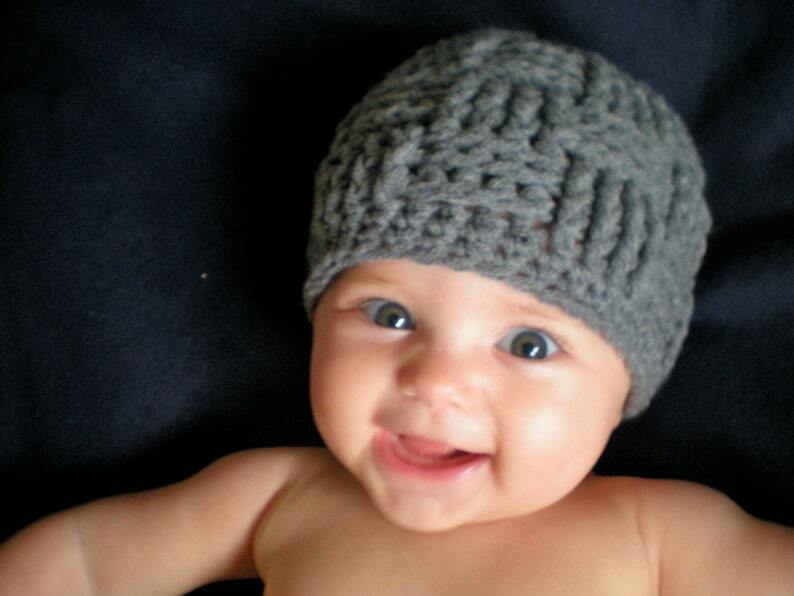 Basic hats like this are perfect for baby photo shoots and stylish statements for any age. This pattern includes instructions for making the Triscuit Hat in sizes 0-3m, 3-6m, 6-12, toddler, kid, and teen/adult. The pattern is "easy crochet;" it uses front post and back post stitches, which are explained in the pattern. As with all my patterns, I am always available for questions along the way.